Turning knowledge into action and getting things done. Building high performance organizations and cultures. Managing in tough times: What companies have done right, and mostly wrong. Hard facts, dangerous half-truths, and total nonsense: Profiting from evidence-based management. For literally decades the world has seen books, blogs, Ted talks, executive development efforts, conferences, and similar activities—some estimates place the size of the leadership education and development budget in the U.S. at $20 billion annually. Nonetheless, almost every piece of evidence—on job satisfaction, trust in leaders, employee engagement, leadership success, the efficacy of leadership development efforts—shows persistent failure and problems with leader tenures getting shorter and things getting worse. Why? And more importantly, what might organizations do to fix the ongoing crises in leadership? This book takes on the simplistic nostrums that have beset the leadership industry and offers evidence-based, practical suggestions for enhancing both personal and organizational success. Even as companies bemoan high health care costs and the productivity lost from sick and absent workers, and even as employers institute policies to encourage their employees to practice healthier lifestyles, many work organizations have management practices that sicken and kill people and drive up health care costs in the process. Stefanos Zenios, Joel Goh, and I estimate that there are more than 120,000 excess deaths and that 10% of health care spending in the U.S. result comes from management actions that harm people’s well-being and do not positively affect organizational performance. One important reason why per capita health care costs are higher in the U.S. than in other countries with no better—and in many instances worse—health outcomes is because of differences in the prevalence and cost of harmful management practices. Companies have spent millions of dollars building intranets and collaborative tools to capture and share knowledge, under the assumption that in a world in which intellectual capital is increasingly important, the company with the best knowledge management system wins. The underlying assumption is right—intellectual capital and knowledge work are increasingly important. But knowledge that isn’t turned into action is about as bad as action that is not informed by knowledge. Our research has uncovered some important barriers to using and implementing knowledge and building a culture of action instead of just talk and analysis. We have found examples and strategies for overcoming the knowing-doing gap to build a culture of implementation. And there are a set of management practices that can create a company that learns from its experience and turns that learning into actions and results. The data are clear: success does not come from mergers and consolidations to increase size, from being in high technology, from being in the “right” industry, or even from being first to market with an idea—after all, Xerox invented the first personal computer, Ampex made the first VCR, and Amazon was at least the fourth company to begin selling books on line. Instead, studies of companies in numerous industries ranging from automobile manufacturing to semiconductors, studies of companies in multiple industries, and research in countries including the United Kingdom, Korea, and Germany demonstrate the strong correlation between how companies manage their people and their profits, productivity, and customer and employee retention. Our research has identified the essential elements of high performance or high-commitment work arrangements, why these practices are effective, and what this means for building management systems and organizational culture. Although power is a word that sometimes has negative connotations in organizations, building power and influence is what effective leaders do and is essential to getting things done. Over decades of research, we have uncovered what are effective ways of building and exercising influence, and some of the dilemmas and choices people face as they move through their careers in organizations. 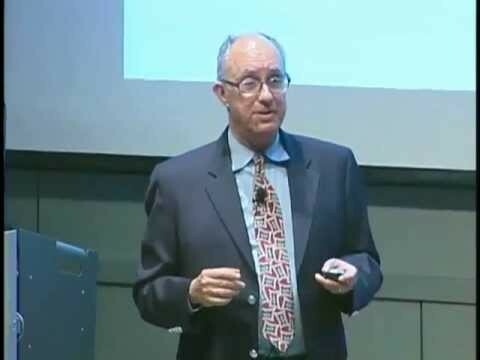 It is possible to answer questions such as: 1) when is power and influence more important for getting things done (it turns out that team-oriented, more collegial environments actually make influence skills more, rather than less important); 2) what are the individual attributes associated with being influential, and how can these be developed; 3) what are some effective strategies and tactics for obtaining and using power; 4) how can you develop allies and supporters; 5) how can you deal effectively with opposition and with difficult opponents; and 6) what are some pitfalls to those in positions of power, and how can these be avoided. Our educational work helps people develop their clinical, observational skills, their ability to analyze and exercise influence effectively, and to think constructively about power and its use in getting things done in organizations of all sizes and types. The most typical response to the difficult economic environment of the past few years has been to cut costs and retrench. There have been layoffs, cutbacks in new product and new expansion initiatives, and attempts to outsource more and more activities. But these moves have seldom considered what their feedback effects will be. A few companies have recognized that tough times present the best opportunity to gain ground on the competition, and have behaved accordingly. What lessons can we draw from their actions? Many organizations decide what to do based on the past experience of senior leaders, ideology and belief, and through the casual benchmarking of observing what other companies are doing. None of these represent effective ways of making decisions. 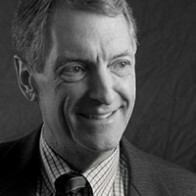 Meanwhile, companies have ignored massive amounts of evidence that speak to questions such as the effectiveness of stock options and incentive compensation, whether “winning the war for talent” is possible or even desirable, the effects of setting up internal competitive dynamics, and many other questions that are relevant to understanding management strategies and their effects. The fact that knowledge about “what works” and why is so infrequently used provides an opportunity for information arbitrage in the management of companies that is similar to arbitrage opportunities in the financial markets, except the returns are both larger and less likely to be immediately imitated away. Companies need to use more “evidence-based management” and employ a decision process that uncovers hidden assumptions and confronts them with what leaders know to be true. Jeffrey Pfeffer’s Key Accomplishments Include . 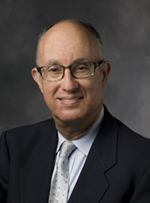 . .
Jeffrey Pfeffer has published extensively in the fields of organization theory and human resource management. 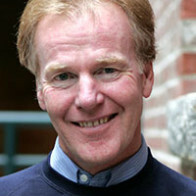 His research focuses on the relationship between time and money, power and leadership in organizations, economics language and assumptions and their effects on management practice, how social science theories become self-fulfilling, barriers to turning knowledge into action and how to overcome them, and evidence-based management and what it is, barriers to its use, and how to implement it. Jeffrey Pfeffer is the author or co-author of over a dozen books including The Human Equation: Building Profits by Putting People First, Managing with Power: Politics and Influence in Organizations, The Knowing-Doing Gap: How Smart Companies Turn Knowledge Into Action, Hidden Value: How Great Companies Achieve Extraordinary Results with Ordinary People, Hard Facts, Dangerous Half-Truths, and Total Nonsense: Profiting from Evidence-Based Management, and What Were They Thinking? Unconventional Wisdom About Management, a collection of 27 essays about management topics, as well as more than 150 articles and book chapters. 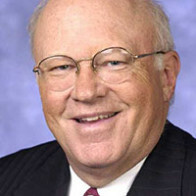 Pfeffer currently serves on the board of directors of the nonprofit Quantum Leap Healthcare. In the past he has served on the boards of Resumix, Unicru, and Workstream, all human capital software companies, Audible Magic, an internet company, SonoSite, a company designing and manufacturing portable ultrasound machines, and the San Francisco Playhouse, a non-profit theater. More About Jeffrey Pfeffer . 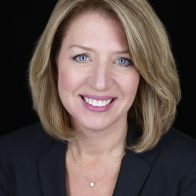 . .
Dean of the Rotman School of Management at the University of Toronto, author, and a former partner of Monitor, the strategy consulting firm. 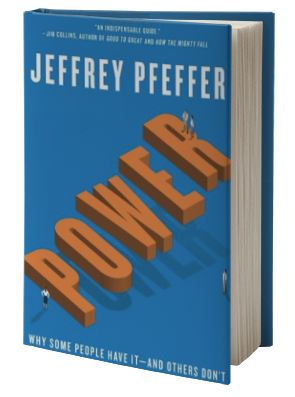 “Pfeffer’s insightful stories and innovative strategies surrounding organizational behavior are among the best that are available today. Whether you are trying to improve performance, realize the untapped potential of your employees, or drive customer-centricity throughout your company, Jeff’s fresh and irreverent perspectives are sure to help you move the needle”.